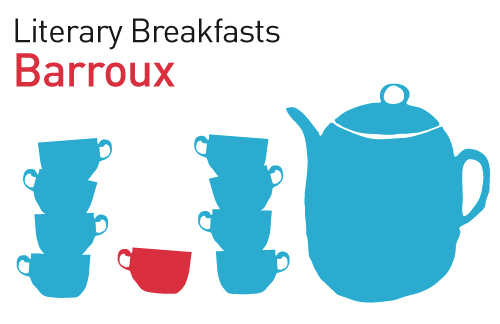 The Literary Breakfasts series is a unique opportunity to share a privileged moment with an author. In the comfy atmosphere of the Bistrot de l’Institut français discuss over a breakfast the author’s latest book, his or her inspirations, background, favorite books, writing process … Being a fan is not compulsory but it might help! The attendance is limited to 8 people – ‘privileged’ we said. Barroux is a renowned and very popular illustrator across France, the USA and Canada. Barroux’s first title with Phoenix Yard Books, ’Mr Leon’s Paris’, was published in April 2012. Barroux’s very distinctive drawings are produced traditionally using linocut, acrylic painting and lead pencil. Barroux is in Edinburgh in August 2012 as part of the Take Five Illustrators exhibition in the IT gallery of the Scottish National Gallery and to participate in a Master Class on Saturday 25 August.